We have taken art to the hospital. 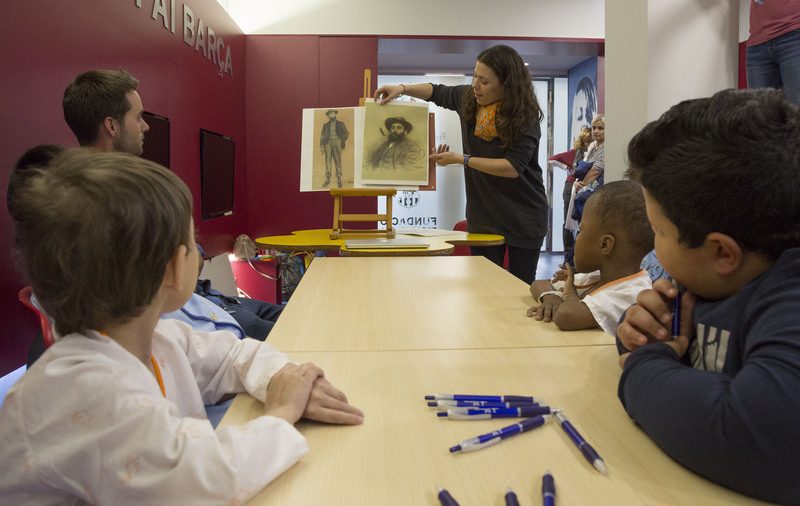 This has been one of the most thrilling recent projects for us, the result of hospital-company, sponsor-museum-artists collaboration, and above all, the children. We have invited the nurse in charge from the Maternity-children Hospital of the Vall d’Hebron to share this experience in our blog. I am a nurse, specialised in paediatrics and I have been working in the l’Hospital Maternoinfantil Vall d´Hebron (HMI) since 1989, a hospital that treats children and women. We are a reference centre in Catalonia, and one of the best in Spain, a pioneer in its capacity for the resolution of complex paediatric processes. In recent years we have made a clear commitment towards the humanisation in attention, we want to look after the welfare of the hospitalised children and of their families, being respectful to the different beliefs and cultures. Our centre finds itself immersed in a process of transformation with the main aim of achieving a happier, and more dynamic and modern image, with the participation of the patients, families and professionals. We want to improve the hospital stay of the children, adolescents and families, transmitting a message of encouragement and calmness. By means of the unit of Corporate Social Responsibility of the Hospital, a proposal reached us to participate in a new project of humanisation included in the programme DKV Fresh Art Kids 2017. 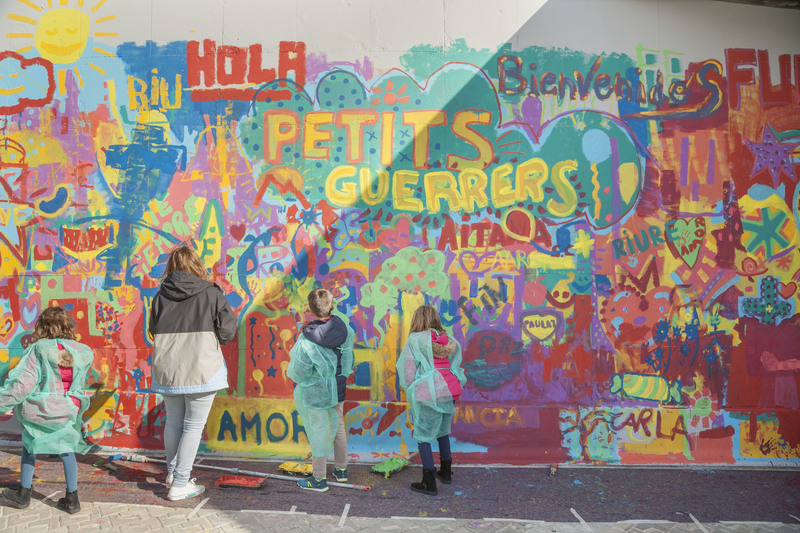 The company DKV and the Museu Nacional d’Art de Catalunya (MNAC) proposed us, last summer, to participate in a project of artistic co-creation with BOA Mistura, an international group of mural artists. 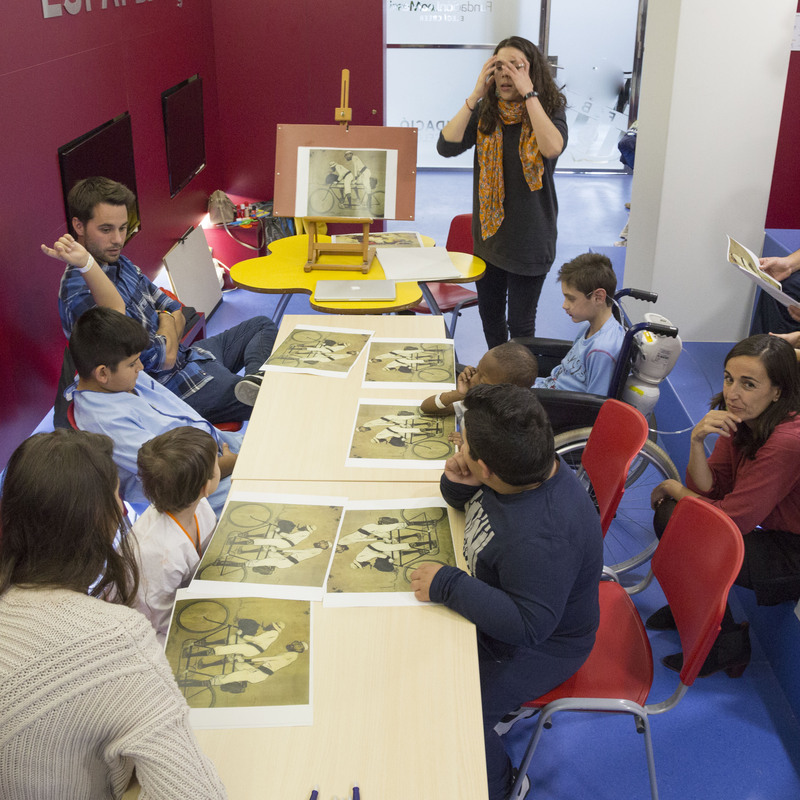 The activity would consist of painting a mural in a space of the building of the Maternity Children’s Hospital of Vall d´Hebron, inspired by an artistic piece from the MNAC, the emblematic work of Catalan modernism by the author Ramón Casas: Ramón Casas and Pere Romeu on a Tandem. the caring of emotional welfare, given that the different leisure activities and among them artistic, contribute to minimising and mitigating the negative psychological impact that can be provoked in the child or adolescent by the hospitalisation process itself. colour does matter, the opportunity of achieving a happier and more vital space in our hospital, it can improve the hospital stay of the children, adolescents, families and professionals. teamwork strengthens the relations, sharing these types of activities would undoubtedly strengthen the ties between the boys, girls, adolescents, families and professionals. The relation of trust between the patient the family and the professionals will be strengthened, with the interaction in a more leisure-festive environment being positive. For the children, the stay in the hospital implies being separated from their habitual environment, the difficulty to understand what is happening to them, and the possibility of the appearance of psychological and emotional alterations due to the presence of fears and anxieties. For all these reasons, the hospitalization can create a situation of emotional impact which it is convenient to assimilate and elaborate. Nowadays, there is evidence that all activities that allow children to externalise their emotions, feeling and thoughts are positive for their emotional welfare. 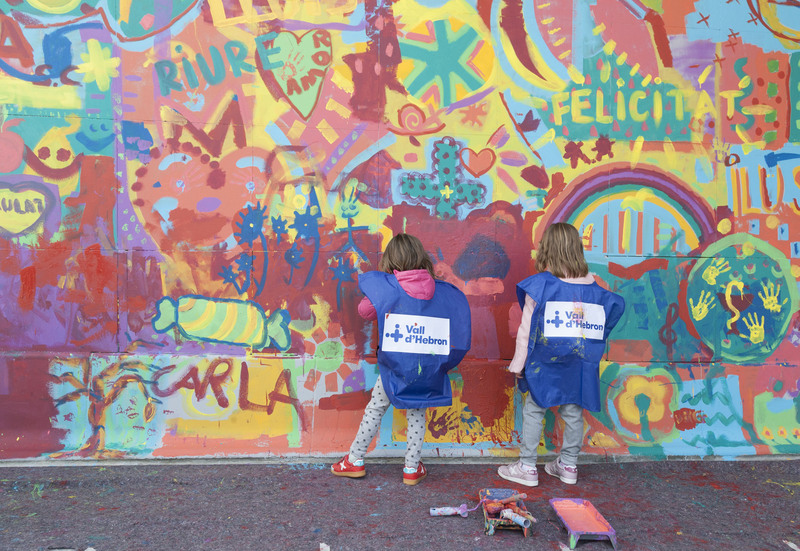 In this situation, the creation of a mural with their own hands, in our hospital, has provided the children and adolescents with a space for externalising their emotions, feelings and thoughts through art. For a few days, the hospital has become an art workshop and the patients have been able to go from having a more passive attitude and receiver of attention, to being active and creative, with greater vitality. Without doubt, art allows us to travel through the emotions and overcome difficulties, contributing to their emotional and physical health. 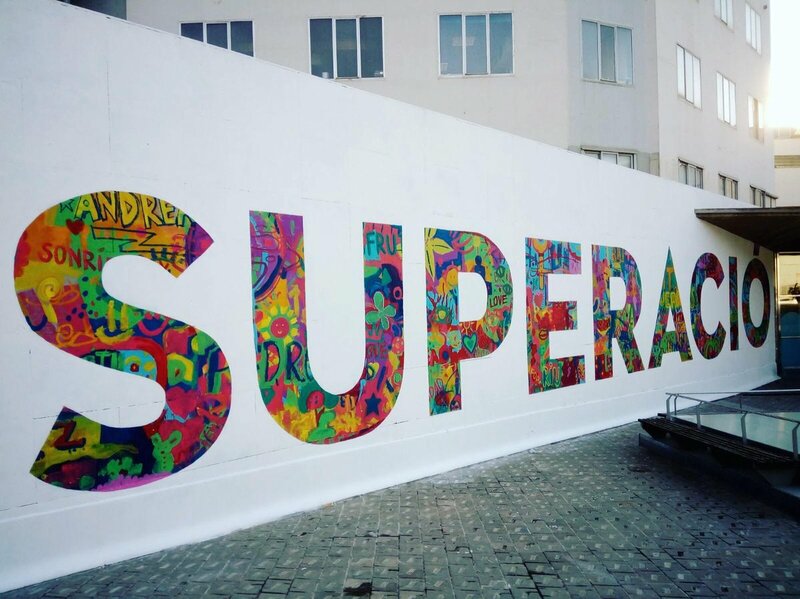 To end, I would like to thank DKV, the Museu Nacional and the artists of BOA Mistura who had thought of our hospital for this initiative that combines art and humanisation. To thank all our pediatric patients, those hospitalised, and those who come from their homes and families for their participation and enthusiasm. I would also like to thank the professionals from Hospital Maternoinfantil Vall d´Hebron for their collaboration, and it has become clear that for the professionals who work in the HMI Vall d´Hebron it is very important to improve the emotional welfare of our boys, girls, adolescents and families, “The patient always comes first”. This initiative has shown that together we are stronger and that if we go together we are unstoppable. 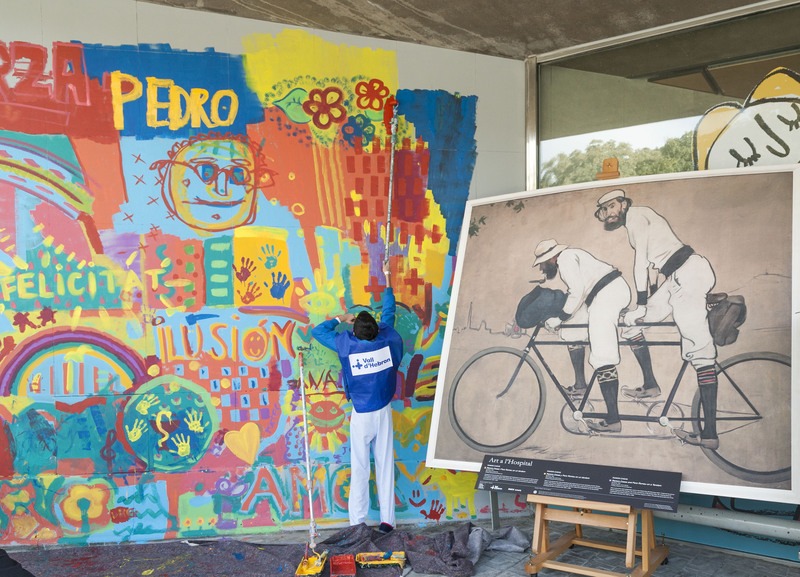 Each day when I begin and finish my working day, on entering and leaving, by the main entrance of the HMI Vall d´Hebron, I look at the mural, I look at our work and I read this large word that represents an injection of positivism: “Overcoming”. Which makes me have very present how important and necessary it is to surpass oneself on a day-to-day basis, both professionally and personally. Overcoming: a bad day, fears, pain, a treatment, a loss, to be hospitalised, some goals.